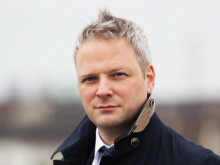 Cameron Kerr joined Panalpina in 2014. 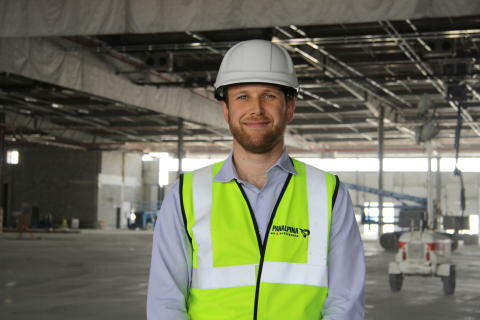 Today, as the logistics business support and implementation specialist for Panalpina in the Middle East, Africa and CIS (MEAC) region, his immediate responsibility is to supervise the timely construction of the company’s giant new Logistics Manufacturing Services (LMS) center at Dubai World Central (DWC) Airport. The building is the future – the future of Panalpina and its customers in Dubai. 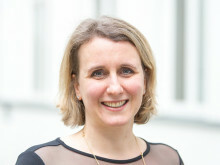 “It’s a massive ‘Build to Suit’ facility, meaning it is built exactly to our business needs and those of our customers, especially in the area of LMS. The developer is constructing it specifically to our design adjacent to DWC, which one day will most likely be the world’s biggest airport”, says Cameron. The new 40,000 m2 facility will enable Panalpina to grow its logistics and freight forwarding business in the MEAC region. 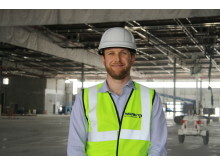 “The sheer size of the building gives us scalability for our existing customers in Dubai”, says Cameron. One such customer is Ericsson. In Dubai South, Panalpina already operates Ericsson’s telecom equipment distribution center for the Middle East and Africa. 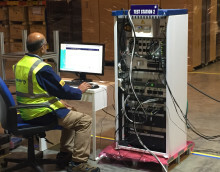 It is Ericsson’s first distribution center globally that unites hardware assembly and software load under one roof. They will be one of the first Panalpina customers to be transferred to the new facility in two months’ time. “The new temperature-controlled logistics center gives us three times more room and state-of-the-art infrastructure under a single roof to perform our signature Logistics Manufacturing Services for the telecom sector, or diagnostics and repair work for the consumer electronics industry”, explains Cameron. 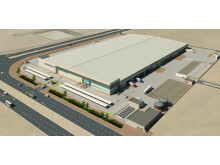 The operational space of 37,000 m2 is divided into three units of 17,000 m2 and two times 10,000 m2. Most of the space will be used for inbound to manufacturing (I2M) and vendor managed inventory (VMI) services in support of LMS and also for outbound distribution services. The facility has 40 truck docks, 20 each on the north and south side. There are separate areas for the break-down or build-up of air freight and for the safe intermediary storage of valuable or dangerous goods. Out-of-gauge telecom or oil and gas equipment that is not sensitive to extreme weather can be stored in the 4,000 m2 open yard. All other goods will be kept and handled inside in clean and fully air-conditioned chambers where temperatures and humidity are monitored and controlled around the clock by the building management system. “Customers are increasingly demanding that their products not only be protected against theft but also against heat and humidity. Our new facility is one of only very few of this size in Dubai that can offer this”, says Cameron. Panalpina’s Logistics operationsteam that is expected to work there soon, including electronic test engineers, will certainly appreciate the pleasant working conditions, too. 90% of the building has been constructed and completion is planned for mid-August.